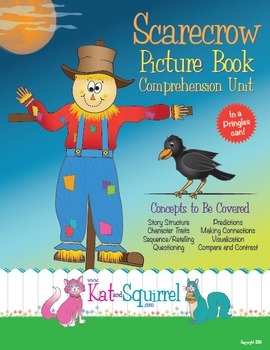 Now includes an original story - "Kat and Squirrel and the Scarecrow Building Contest". Print out color or black and white can wrapper. Cut off top and bottom edges. 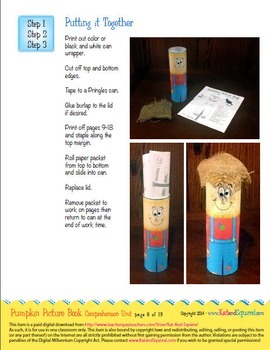 Tape to a Pringles can. Glue burlap to the lid if desired. 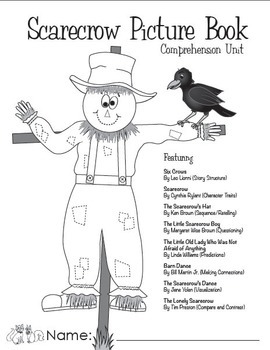 Print off pages 5-14 and staple along the top margin. Roll paper packet from top to bottom and slide into can. Remove packet to work on pages then return to can at the end of work time.